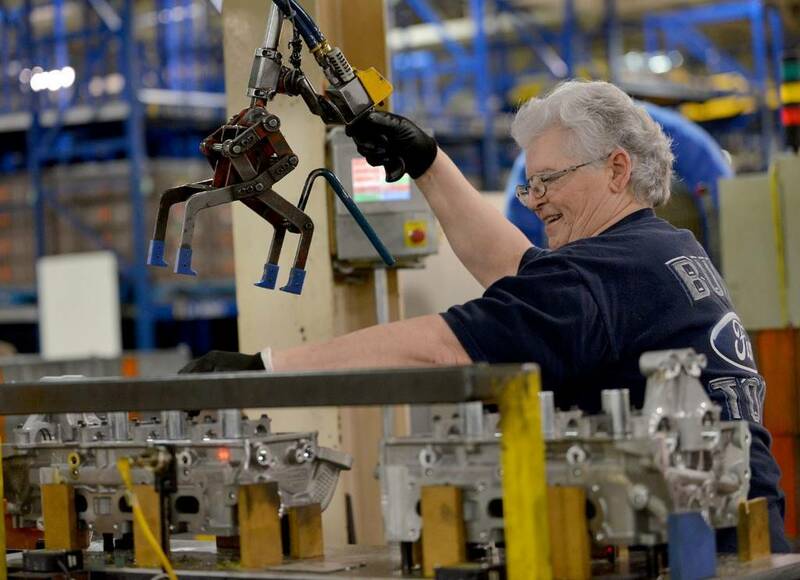 After reaching its lowest level in two years in December, U.S. manufacturing activity bounced back from its slump in January, according the Institute for Supply Management’s latest survey of manufacturing executives. U.S. manufacturing activity now stands at 56.6%, up 2.3% from December’s reading of 54.3%. Among the many bright spots in January’s ISM report, a surge in new orders was particularly welcome, with that reading climbing nearly 7% to 58.2% after a significant decline in December. January’s ISM report reflects a growing U.S. manufacturing sector, with the month's reading of 56.6% well above the 50% mark that is indicative of expansion. January stands as the 35th consecutive month of growth in the U.S. manufacturing sector, and the 117th straight month of growth in the economy overall. Fourteen of eighteen industries surveyed by the ISM reported growth, led by textile mills; computer & electronic products; plastics and rubber products; and miscellaneous manufacturing. The only sector that reported a contraction was non-metallic mineral products. After sinking 11 percentage points in December, the ISM’s New Orders Index rebounded, increasing 6.9% to a current reading of 58.2%. This represents the 37th consecutive month of growth for new orders. The ISM’s Production Index, which also cooled last month, surged 6.4% in January, hitting a level not seen since September 2018. This represents the 29th consecutive month U.S. manufacturers have reported expanded production. Fourteen out of eighteen industries reported expanded production in January, reports the ISM, led by wood products, printing & related support activities; and furniture/related products. The Department of Labor reported today that the U.S. added U.S. added 304,000 jobs in January, with U.S. manufacturing accounting for 13,000 of those new jobs. Overall, the U.S. industrial sector has added 261,000 jobs in the past year, according to the with growth overwhelmingly centered in the durable goods category. The ISM reported its employment index registering 55.5% in January, barely budging from its December reading of 56%. At first glance, it might appear the two reports conflict, but the ISM reading still indicates that manufacturing employment is still expanding – just at a slower rate. Nine of eighteen industries reported growth in employment, led by textile mills; computer & electronic products; and primary metals. IndustryNet maintains up-to-date information on over 400,000 U.S. manufacturers and suppliers of more than 10,000 products and services. IndustryNet lists suppliers across a range of industries, producing everything from steel and aluminum to air compressors, conveyor belts and printed circuit boards.